Sometimes big things do come in small packages. And sometimes, even bigger things come when inspired by the season of giving and a simple idea. Take for instance the tenacity of 8-year old Kendall Wills, a Fairbanks, Alaska resident who has spent a fair amount of time in Seattle – not by choice but for medical necessities. Kendall was diagnosed at age four with a kidney disease and has spent a good portion of her young life at Seattle Children’s Hospital. While she has never had to spend the holidays at the hospital, for a number of patients at Seattle Children’s Hospital, it’s just not possible to be home for Christmas. This sobering fact resonated with Kendall. For the past four years, Kendall, with the help of donors, volunteers, and a lot of spirit, has been spreading not a little, but a Santa-sized pack of holiday cheer. 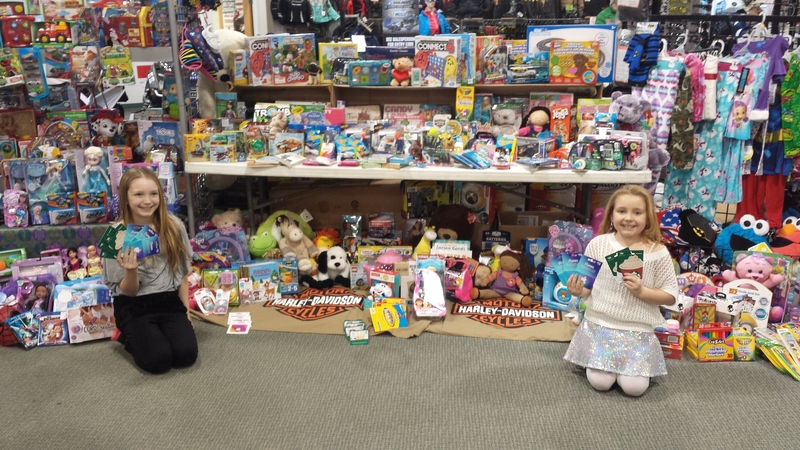 This year on December 12, Kendall and her sister Madeline, along with many generous donors like the Outpost Alaska and Enchanted Forest Toys, in Fairbanks, shipped nearly 600 pounds of toys from Fairbanks down to Seattle. The shipment, donated by Alaska Air Cargo, was safely delivered to the Seattle Cargo office and picked-up by volunteers at Seattle Children’s Hospital, where they will be distributed beginning today. From a modest first-year campaign in 2010 of raising $500 for pajamas and Disney socks, to over ten times that amount in 2014, Kendall filled Santa’s sack with over $5,000 worth of presents. Initially, Kendall’s doctor and nurse distributed the gifts but the growth of her toy drive has gotten so large, she now works directly with the volunteer office at Seattle Children’s Hospital to deliver presents to patients. These toys will stock the shelves of the Polar Place Market, says Janel Wohlers, Seattle Children’s Hospital’s in-kind gift coordinator. In the days leading up to Christmas, in-patient families will have the opportunity to select gifts for their children by complementary shopping in this special room filled with toys. Families will have the option to wrap the gifts and will then decide how to give the gifts to their children. The Polar Place Market means a lot to patients and families and helps alleviate some of the hardship they are experiencing. “The saying ‘it takes a village’ really rings true this time of year, as donations coming in from the community allow for us to support families in this special way,” said Wohlers The Market will be in place December 22-25. She expects there will be over 160 patients up in the hospital on Christmas day. Kendall’s plan is a simple idea, to bring holiday cheer to those not quite as lucky as her to be home this year. As Kendall has proven, sometimes, small ideas and packages, contain a gift bigger than anyone expected. Do you want to make a difference for a child this holiday? Click here to see the Wish List and learn how you can brighten a child’s holiday at Seattle Children’s Hospital. Click here to learn more about Seattle Children’s Strong Against Cancer campaign, a cause both Alaska and Chief Football Officer Russell Wilson are proud to support. 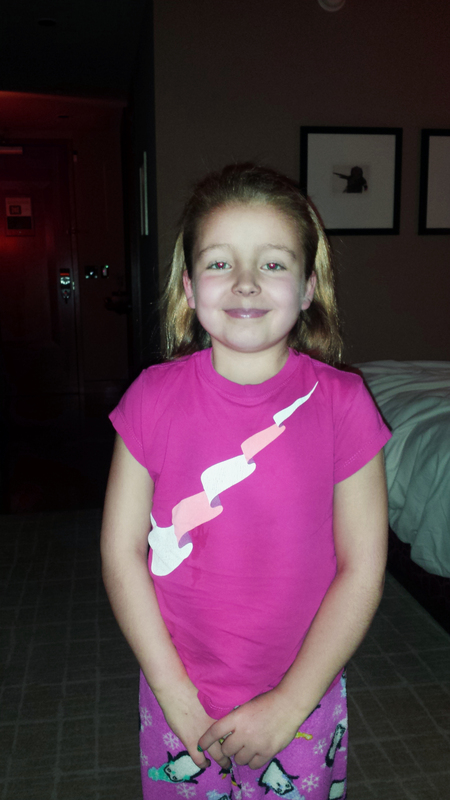 3 comments on "Kendall’s gift: Fairbanks, Alaska girl spreads cheer to sick kids in Seattle"
Thank you for posting a wonderful story at Christmas time. Yes, thank you Barbara and mostly thank you Kendall and family. Your heart felt love for the children and family are over whelming. So glad you are doing better sweetie! Yes, what a wonderful story of love and generosity. These two little girls can teach us all a lesson in compassion towards others, regardless of what we are going through.